Microsoft HoloLens is the world’s first fully-untethered, self-contained Holographic computer, and has been made possible by recent advances in computer vision. In this talk, we’ll explore the remarkable combination of hardware and software innovation involved in building a device that can track your head motion, recognize your hand gestures, and reconstruct the room in 3D, all in real-time on a low-power embedded processor without external sensors. We’ll also talk through some of the exciting opportunities for HoloLens, for both research and real-world applications. Jamie Shotton is a Partner Scientist and leads the HoloLens Science team at Microsoft in Cambridge, UK, where his team focuses on the visual understanding of people to improve interaction and communication in mixed reality. He studied Computer Science at the University of Cambridge, where he remained for his PhD in computer vision and machine learning. He joined Microsoft Research in 2008 where he was a research scientist and head of the Machine Intelligence \& Perception group, before founding the HoloLens Science Cambridge team in 2016. 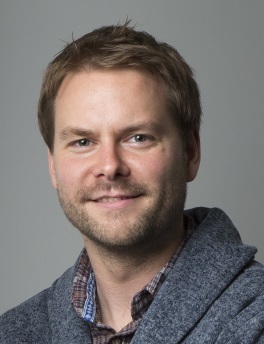 His research focuses at the intersection of computer vision, AI, machine learning, and graphics, with particular emphasis on systems that allow people to interact naturally with computers. He has received multiple Best Paper and Best Demo awards at top-tier academic conferences. His work on machine learning for body part recognition for Kinect was awarded the Royal Academy of Engineering’s MacRobert Award 2011, and he shares Microsoft’s Outstanding Technical Achievement Award for 2012 with the Kinect engineering team. In 2014 he received the PAMI Young Researcher Award, and in 2015 the MIT Technology Review Innovator Under 35 Award (“TR35”).